“Attack! Fighters, secure the aggro!” As soon as Nie Yan gave out the order, several Fighters roared and charged at the Plasma Core Golems. 「Klang! Klang! Klang!」The heavy sound of metal meeting metal rang out as shields and swords collided with the bodies of the Plasma Core Golems. Bladelight and Yi Yan took action almost simultaneously, leading away five of the Plasma Core Golems, while the other Fighters firmly locked down the remaining three. "Split them up!" Nie Yan ordered tensely. Despite his wealth of experience in Conviction, this was his first time commanding such a large force. He had never taken part in these sorts of expeditions in his past life, but he had seen them in videos. Although he had never eaten pork, he did have the fortune of seeing a pig run. So, no major problems arose. The Fighters split the Plasma Core Golems into three different groups, three or four players on each enemy. While shielded by others, Bladelight unleashed a relentless barrage of attacks on one of the golems, slowly pulling it toward an empty area nearby. Bladelight dealt a heavy blow to the Plasma Core Golem with his shield, staggering it back several steps. It immediately charged at him in a fit of anger. 「Klang! Klang! Klang!」Bladelight activated Guard Stance as a flurry of powerful blows rained down mercilessly on his shield. Bladelight let out a Demoralizing Shout, interrupting the Plasma Core Golem for a brief instant, giving several Fighters the opportunity to surround the golem in a pincer attack. Spell after spell flew through the air, converging onto the Plasma Core Golem. The unrelenting barrage exploded on its body with loud bangs, causing a long string of damage values to float up from its head. “Sparrow Hawk, mind the aggro!” Nie Yan reminded after seeing Tang Yao unleash an endless stream of spells. The damage he put out was too ferocious! 「Bang! Bang! Bang!」Three critical hits landed in succession. Most of the Mages were dealing around 40–50 damage, with some of the stronger players hitting in the low 90s. Although a spell would occasionally crit for relatively high damage, it would still do no more than 120 damage. The crowd of Mages showed signs of panic. If the Plasma Core Golem’s aggro got out of control and it rushed into their midst, a one-sided massacre would be the inevitable outcome. Tang Yao stopped attacking. If he continued, he might even single-handedly cause the entire expedition to fail. The moment he noticed the golem’s aggro shift, Bladelight slammed a Shield Bash into the golem’s body and followed up with a Taunt. The Plasma Core Golem’s aggro was back on Bladelight. After several successive attacks, he finally managed to the pull the golem back to the previous spot. Tang Yao wiped the bead of cold sweat from his forehead. That was a close call. Were it not for Bladelight rescuing the situation in the nick of time, he reckoned he would’ve been the target of everyone’s condemnation. He no longer dared to act in such an unbridled manner, instead controlling his damage output. Plasma Core Golems weren’t particularly difficult opponents. It was just that today was their first time working together, so they were yet to familiarize themselves with each other’s capabilities. Fortunately, they were all skilled players, so nothing major came out of the mistake. Under the ferocious barrage of spells, the Plasma Core Golem’s health was gradually whittled away. With a clanking sound, it collapsed into a pile of scrap metal. “What dropped?” Nie Yan asked eagerly. Since it was a Level 40 Plasma Core Golem, anything it dropped was bound to be exceptional. “A Level 40 Gold-grade Azure Staff, and some Level 40 leg armour from the Everlasting Set Series, Gold-grade as well,” Bladelight replied, picking up two pieces of equipment off the ground. The Plasma Core Golems had a 20% chance to drop a piece of equipment from the Everlasting Gold Set. That chance was increased to 50% for the first people to explore the map. This was why Nie Yan specifically chose this place for their first expedition. Glancing at the Everlasting Gold Set’s properties, Nie Yan noticed that everything, including defense, was roughly 10% higher than that of the Everlasting Silver Set. On top of this, the set bonus was a Rank 8 Shield. It was good enough to make even the non-Fighter players drool. Nie Yan gauged the properties of the two pieces of equipment and decided to reward everyone with 10 merit points. Bladelight proceeded to pull the next Plasma Core Golem. Having experienced their first fight as a group, everyone’s teamwork became much smoother. The Mages stuck to a tempo that dealt damage without accidentally shifting the aggro, and the Priests acted in tandem to keep the frontline healthy. The health bars of the Fighters fluctuated up and down constantly. Several of them even came close to dying a few times. Fortunately, the Priests were led by Leader Young Seven, Black Heaven, and others whose skills were on point. Together, they managed to save everyone on the brink of death and heal them back to full. After a while, the Plasma Core Golem they were fighting fell to 30% health. It let out a massive roar and unleashed a Quake, stunning everyone in its range. The Warriors couldn’t budge an inch. A single blow from the Plasma Core Golem sent Bladelight staggering several steps back. After which a gentle radiance fell over him, restoring his health back to full. Another blow from the Plasma Core Golem sent a nearby Berserker flying out. After falling limply to the ground, that player didn’t get back up. The golem moved on to its next target, slaughtering three Warriors in quick succession. “Keep attacking with your spells, don’t panic!” Nie Yan calmly commanded the Mages. Spells rained down on the Plasma Core Golem without pause. When the Plasma Core Golem finally broke through the frontline and charged toward the Mages, Bladelight regained control. He brought the golem’s advance to a firm halt. The Plasma Core Golem collided with Bladelight’s heavy shield, causing a deep metallic klang to reverberate out. The concentrated rain of magic continued to bombard the Plasma Core Golem. The golem finally could no longer endure assault. Its health fell to zero, and it collapsed to the ground. Bladelight let out a sigh of relief, then proceeded to pick up the drops—a Level 40 Gold-grade Leather Chest Piece and a Tinkerer Recipe. Even though three Warriors had died, it could still be considered a decisive victory. Nie Yan gave 100 merit points to each of the three Warriors who had just died. Everyone else received 10 merit points. Bladelight rested for a bit before moving on to aggro the next Plasma Core Golem. One after the other, Plasma Core Golems collapsed to the ground. After finishing off all eight, they had gathered five pieces of the Everlasting Gold Set. The eight Plasma Core Golems gave an extremely generous amount of experience. Nie Yan looked at his experience bar. It had grown by 17%. He reckoned everyone else also received a similar amount. This kind of levelling speed couldn’t be considered quick, but it was still decent. The group took a short break, during which Ten Li Painted Muslin and Moon Child began reviving the members who had died. “I noticed we sure have a lot of pretty girls in our group.” Nie Yan chuckled. Yao Yao, Yu Lan, One Strike Vow, Moon Child, Ten Li Painted Muslin… every single one of them was a rarely seen beauty. As for beauties a level below them, there were almost 30. The rest were all relatively ordinary-looking. Out of 600 players, almost 80 were female. This sort of female-to-male ratio could be considered pretty high. Nie Yan led the group toward the inner district. After passing through a thick metal gate, they were greeted by a completely different scene. The buildings in the inner district were constructed out of metal, with steel bars and bolts everywhere. It resembled an impenetrable steel fortress. There were Mechanical Golems roaming the streets. Occasionally, one or two Elite Plasma Core Golems could be spotted among them. There was a total of five Lords in Everlasting City. If Nie Yan’s group could clear them all, they would obtain five Energy Key Fragments. After combining the fragments together to form the whole key, they would get the chance to obtain the Energy Core of Everlasting City. 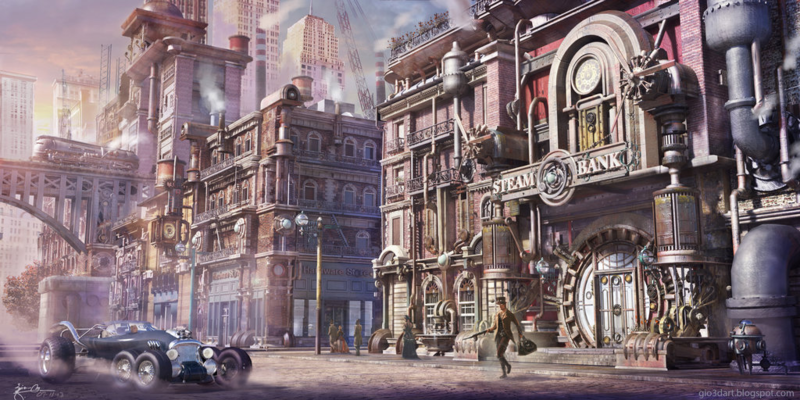 In addition to this, according to the information on the official websites, the first group of players to explore Everlasting City could obtain some other items that would make countless people drool. One such item was the Shattered Sword, a Dark Gold-grade weapon. A total of three were scattered throughout the map. Even though it could be equipped at Level 30, its attack power exceeded that of ordinary Level 50 Gold-grade weapons. It was extremely domineering. Another such item was the Level 40 Staff of Divine Rite. It was one of the best staffs for support-type Priests, giving a 130 point boost to Heal. Only two could be obtained in this map. If Nie Yan’s group obtained the Shattered Sword, it would definitely be given to Warriors like Monochrome or Edgeless. As for the Staff of Divine Rite which greatly boosted the healing capability of a Priest, it was of unimaginable use to any team. Everything here was extremely familiar to Nie Yan. As he carefully recalled his memories of Everlasting City’s inner district from his past life, he remembered that there were two treasure chests near the entrance. However, he didn’t know their exact locations. “You guys keep exploring deeper. Young Seven, take command for a bit,” Nie Yan said. He wouldn’t feel too assured handing this task over to Tang Yao due to his lack of self-control. As for Bladelight, he already had his plate full by being the main tank for the group. After handing over command to Young Seven, Nie Yan went off to find the treasure chests. He estimated it would only take him 15 minutes at most, so no problems should occur during that time. “Alright.” Young Seven nodded. He took up the role of commanding everyone. The group advanced deeper into the inner district, sweeping away all the Mechanical Golems and Plasma Core Golems in the streets. Their progress was slow but stable. Nie Yan entered an ancient building. He recalled that it was around here where the treasure chests were found, and started searching. There were signs that intelligent creatures used to live here such as chairs, tables, pots, etc., but they had long since disappeared. All that remained were these relics. He found books written in the goblin language scattered across the floor. Since goblins weren’t creatures that belonged to the Righteous Faction of Order, Nie Yan didn’t understand their language. Without the aid of some sort of special magical item, he wasn't able to read these characters, so he could only move on. He also saw some half-completed Mechanical Golems put out on display. After searching around the room, Nie Yan finally found what he was looking for. It was a locked dark gold chest cover in exquisite runes which flickered a dark luster. Nie Yan remembered that the chest that spawned here was silver. Who could’ve known that when he finally found it, it was dark gold. This was probably due to him being one of the first to explore the map. He was extremely excited. It’s an idiom describing someone who lacks personal experience doing a task such as driving a car, skateboarding, etc., but has some knowledge of it through watching others.